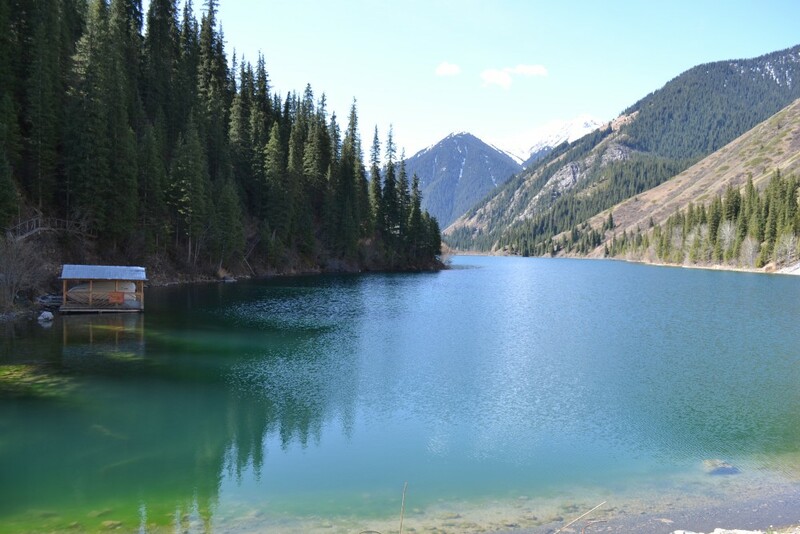 Kolsai Lakes are rated as the number two place to see close to Almaty by Tripadvisor. 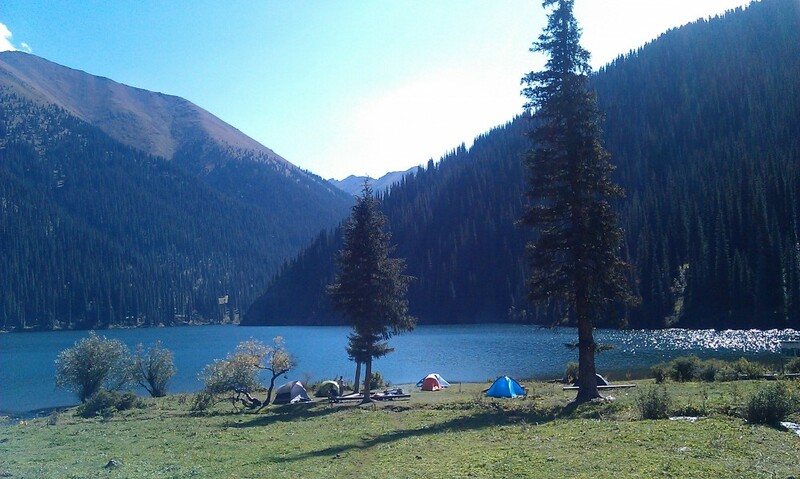 Visit three mountain lakes, progressing higher into the mountains close to the Kyrgyz border. While it is a popular destination, it does require an epic 6 hour journey on some interesting (read: bumpy, unsealed) roads. 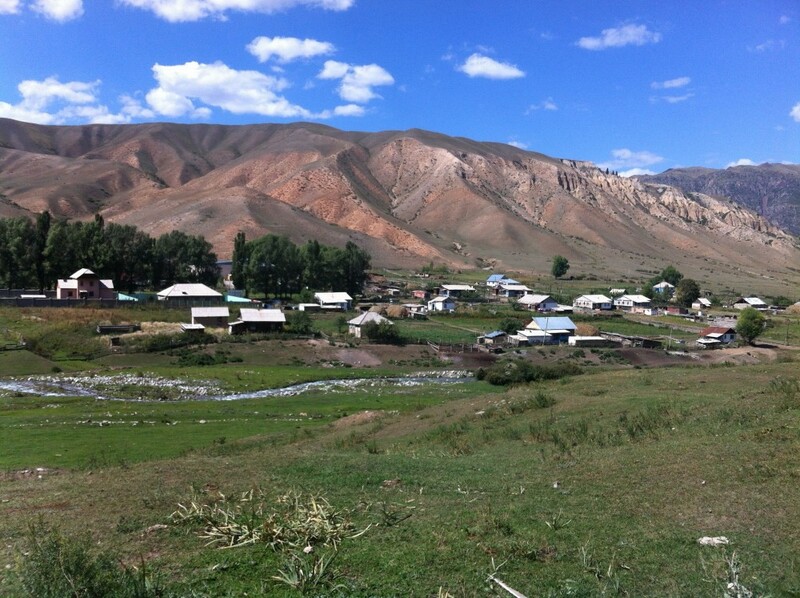 Steppe runs into mountains and canyons cut the landscape, so it is worth being awake for the drive to absorb the scenery and take some photos as well as witnessing some village life as we drive through some small villages on the way. 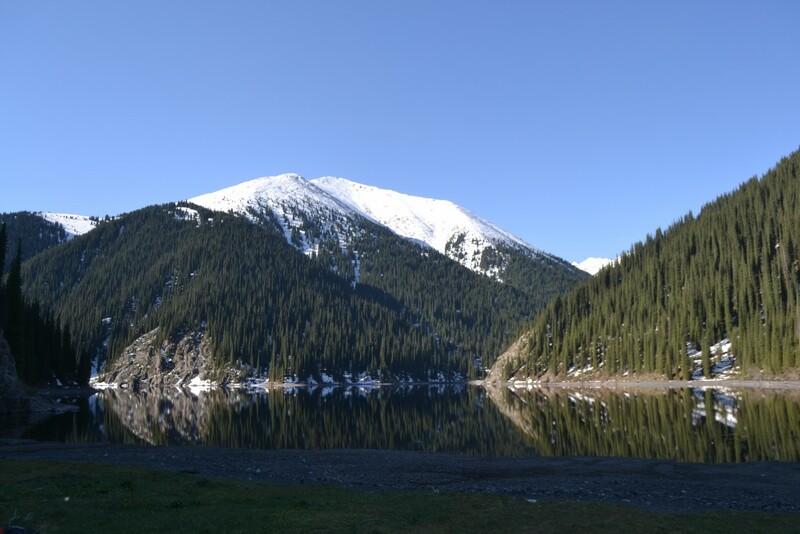 Kolsai Lakes and their surrounding villages, landscape and nature offer many possibilities for things to see and do. We recommend a minimum of a 3 day tour to allow time to see the best of what there is there and not feel rushed doing it. 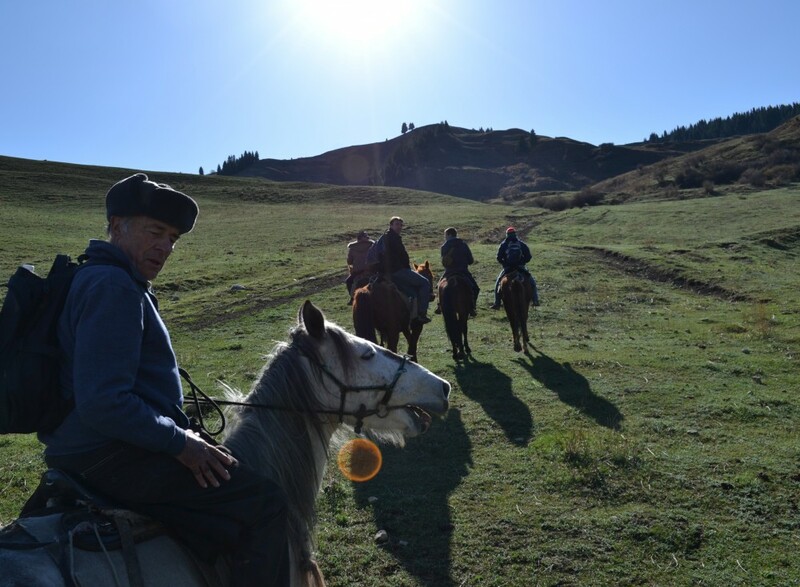 Longer trips are available for those who enjoy journeying past where people usually tread. 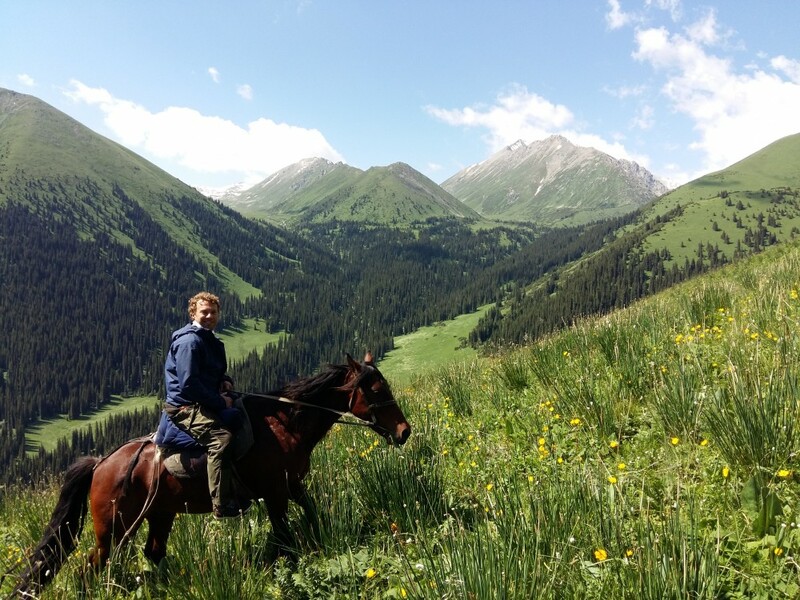 We offer the possibility to do hiking, camping and horse riding here, as well as experiencing the cultural aspects of a Kazakh village. Drive to Kurmetti, a village near Kolsai lakes. Walk around the village (possibility to ride horses around the village if they are available). Stay in a guesthouse in the village. Walk to Kolsai lake number 2. 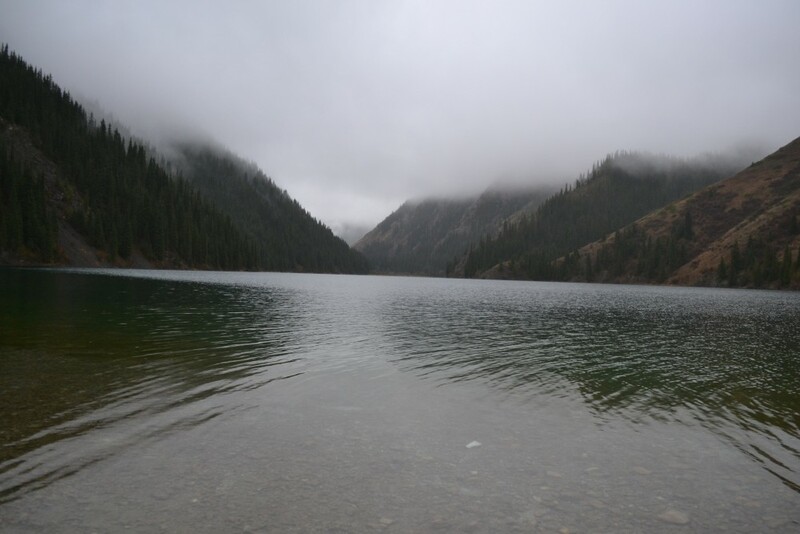 Depending on the time taken to get to lake 2, it might be possible to visit lake 3 in the afternoon also. 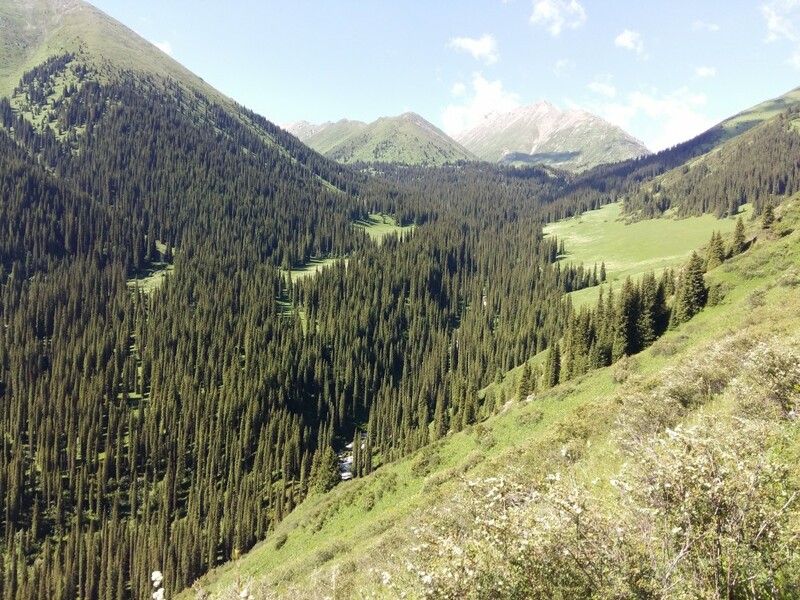 Return back to Almaty (possibility to visit Sharyn Canyon on the way home). Return to Kurmetti to stay in the guest house. 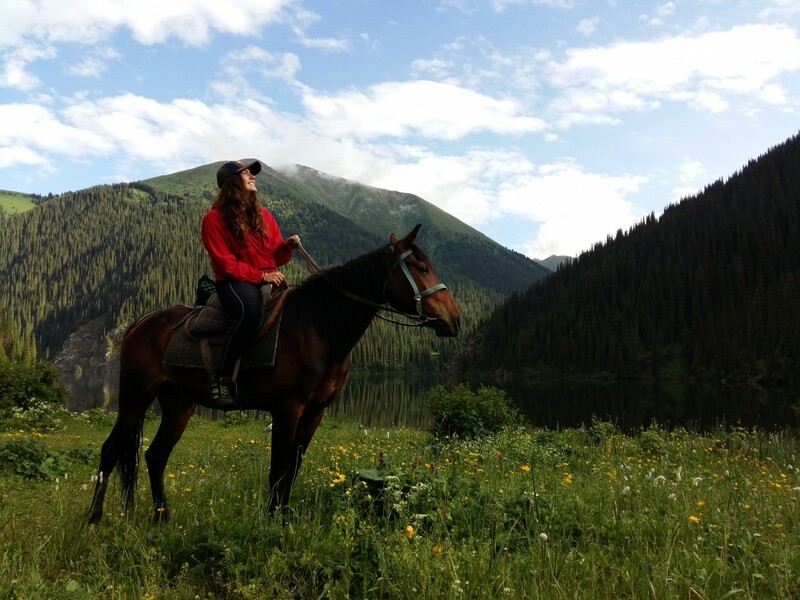 Possibility to do some horse riding at the village in the morning. Walk from the village to Kolsai lake number 2. Set up camp for 2 nights. Walk to Kolsai lake number 3 and possibly further if desired. Return to the 2nd lake for the night. 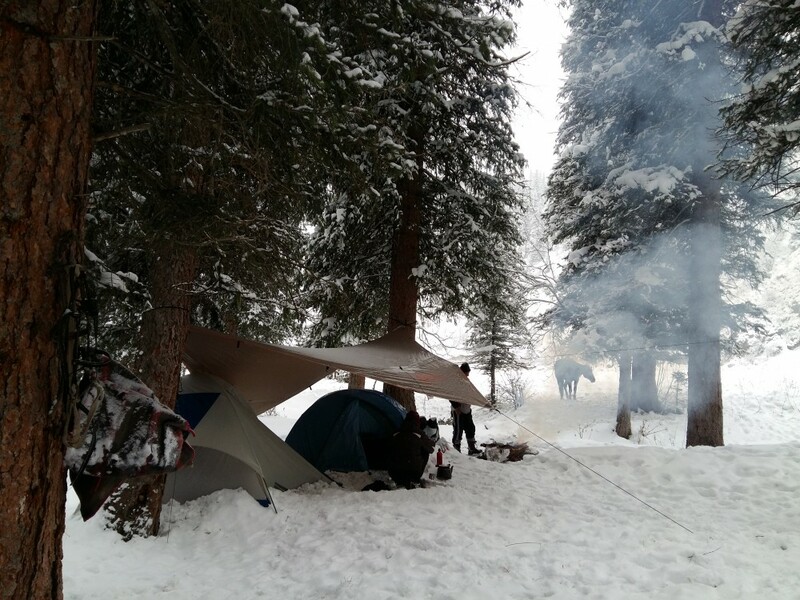 Set up camp for 1 night. 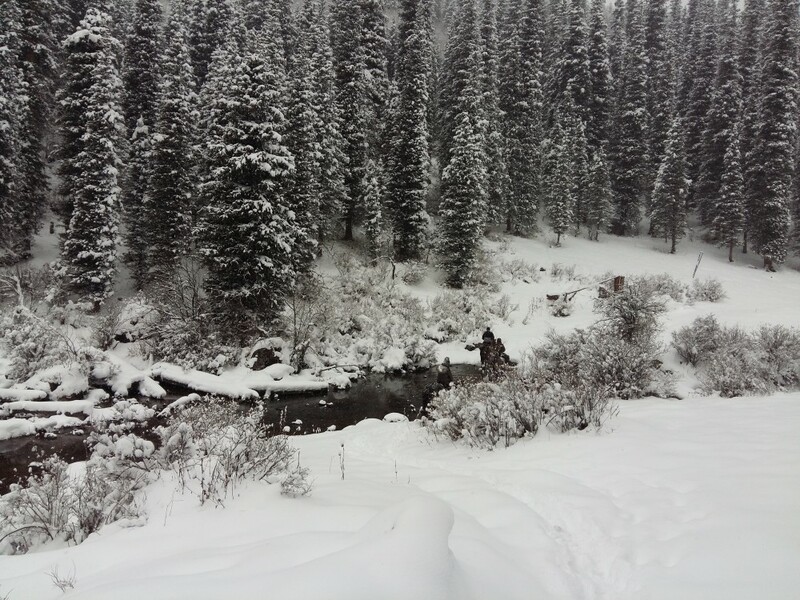 (higher level of difficulty and more fitness needed – off trail walking). Find a place to camp. Return to Kurmetti village down the valley. 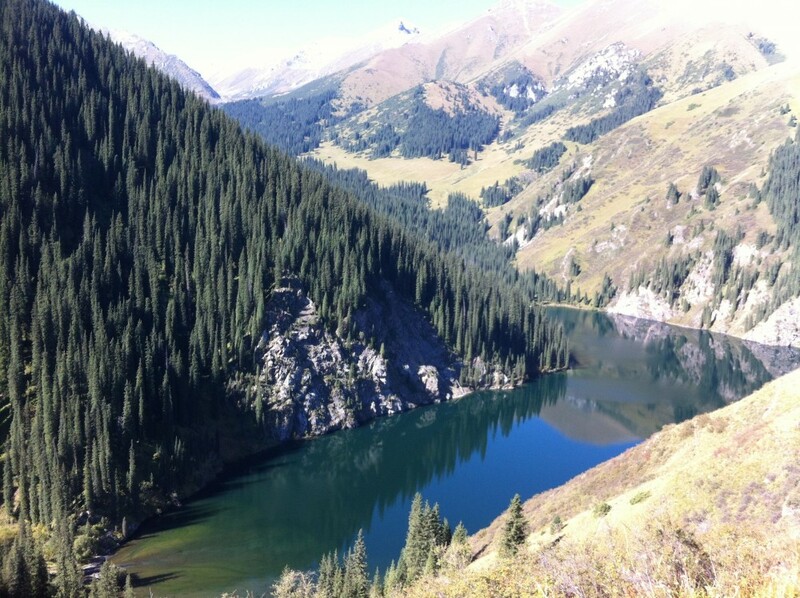 Return back to Almaty (possibility to visit Sharyn Canyon on the way home depending on time taken). Walk around the village and the surrounding area. Stay in guesthouse in the village. 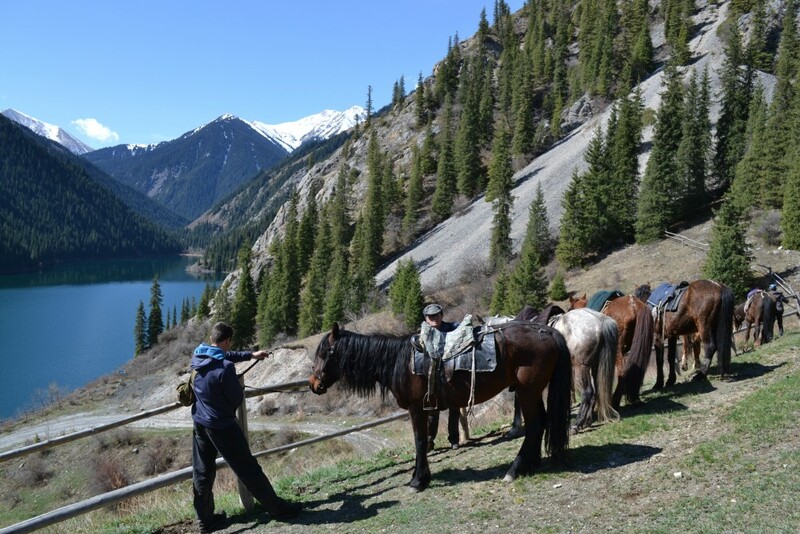 Ride horses from the village to the first and/or second lake. Return to Kurmetti guesthouse for the night. 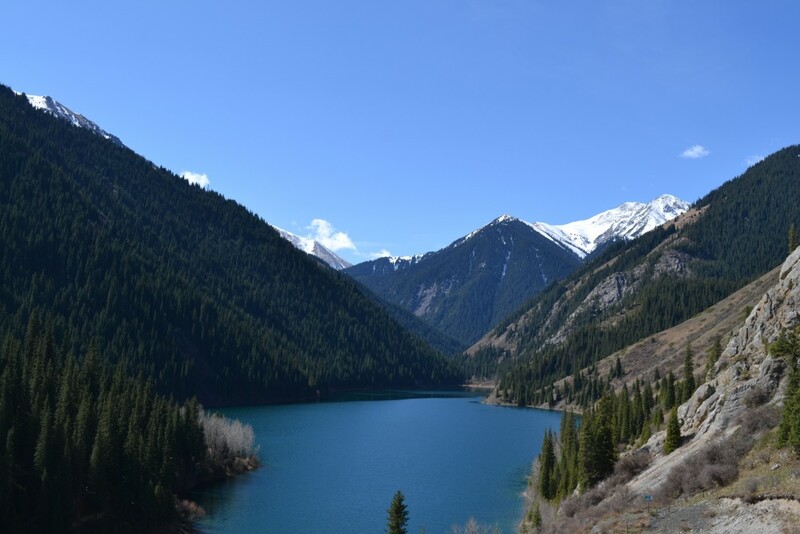 Drive back to Almaty visiting Sharyn Canyon on the way home. 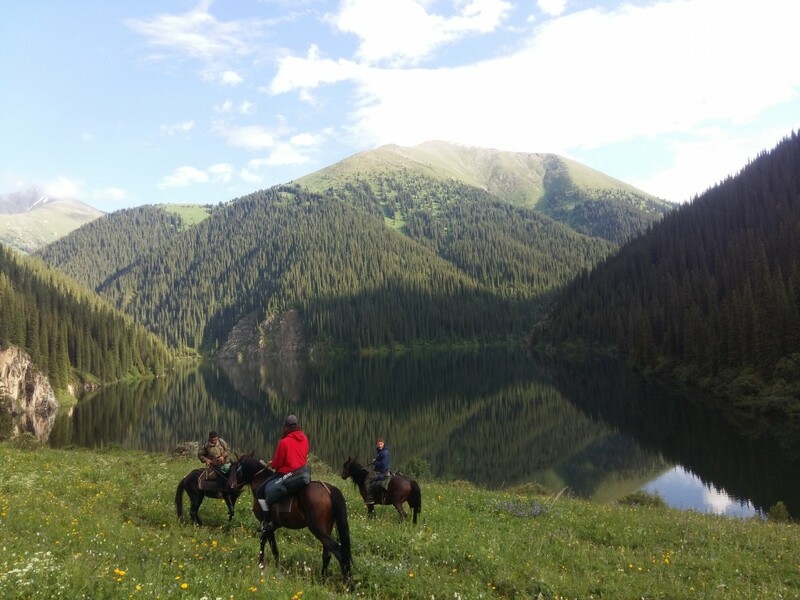 Ride horses from the village to the second lake. 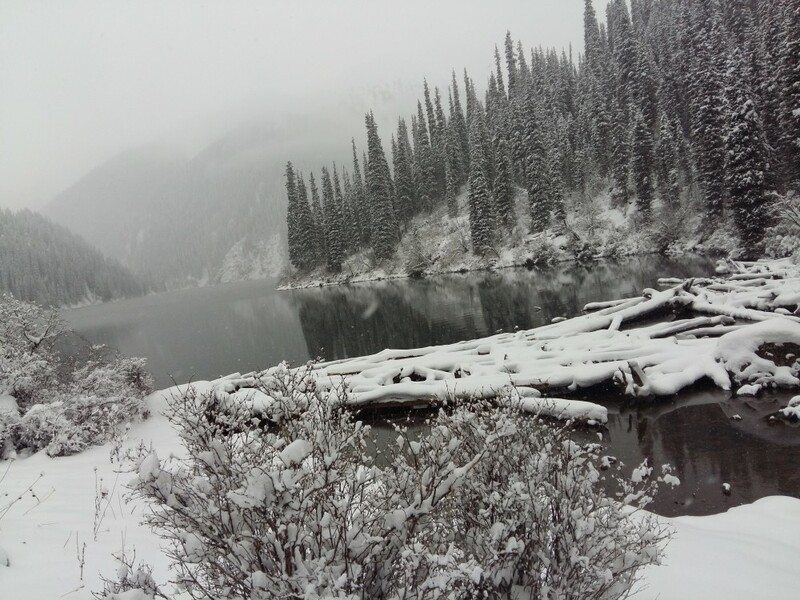 Possibly ride or walk further, exploring around the second lake or going to the third lake. Return to camp for the night. 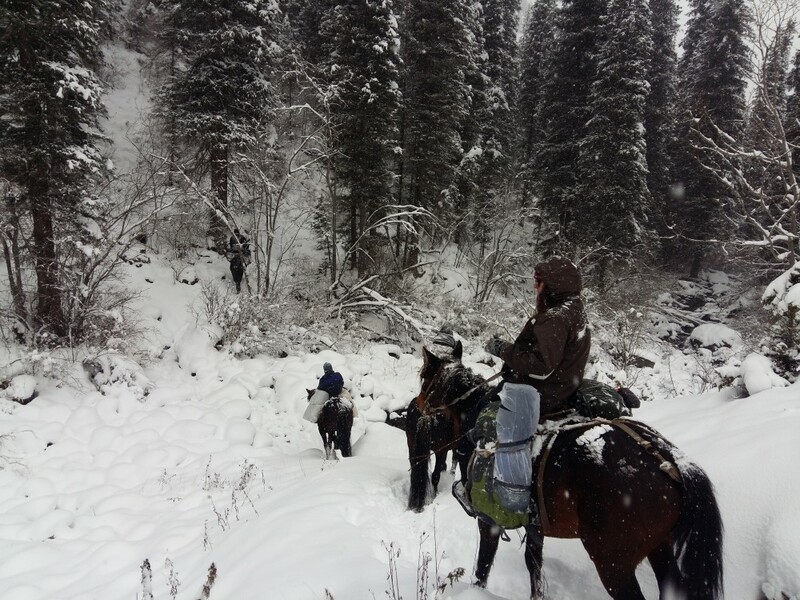 Pack up camp and return back to Kurmetti by horse. Set up camp for the night. 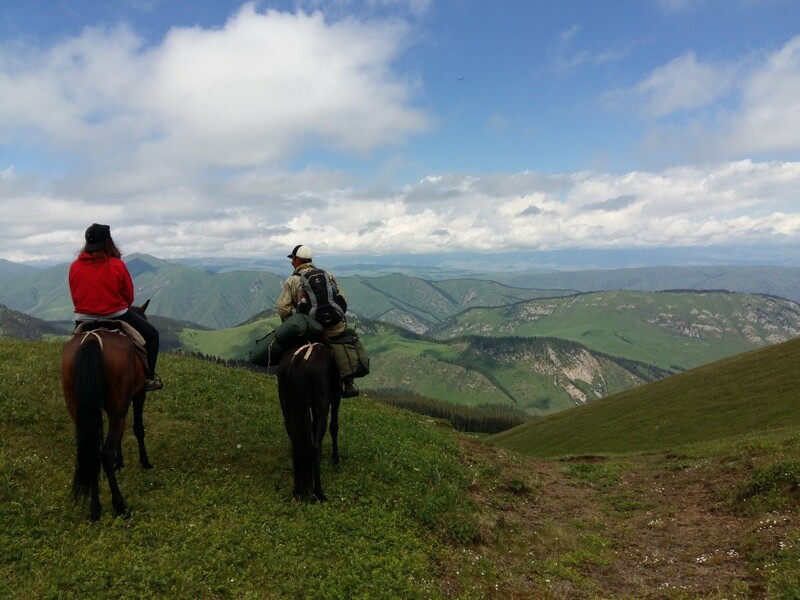 Pack up camp and continue walking up to the ridge line that is the border with Kyrgyzstan. 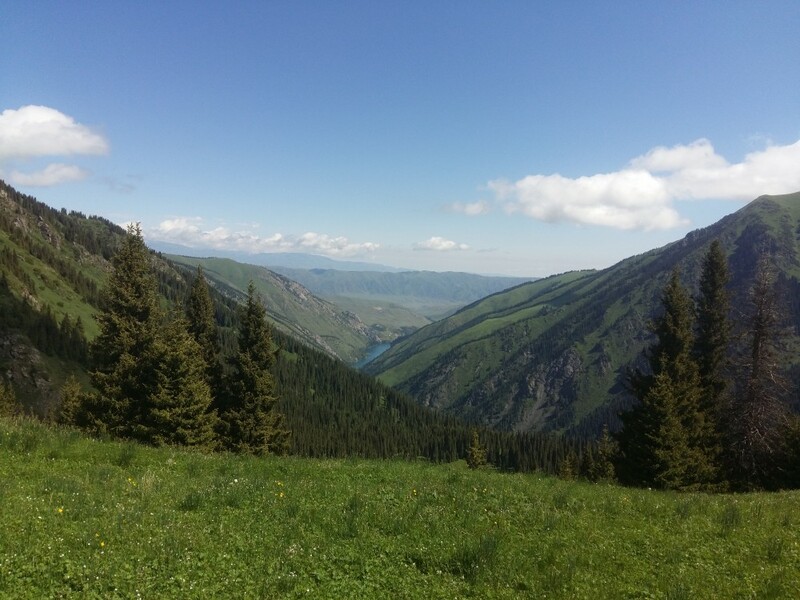 Should be able to see Issyk Kul lake. 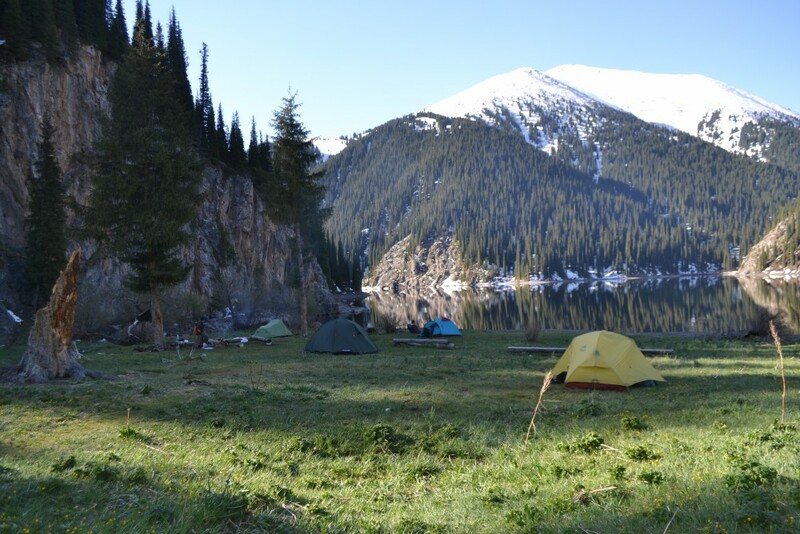 Depending on time, either camp near the small lake at the top or continue walking back down the parallel valley towards Kurmetti and find a place to camp for the night. Full day of off track walking. 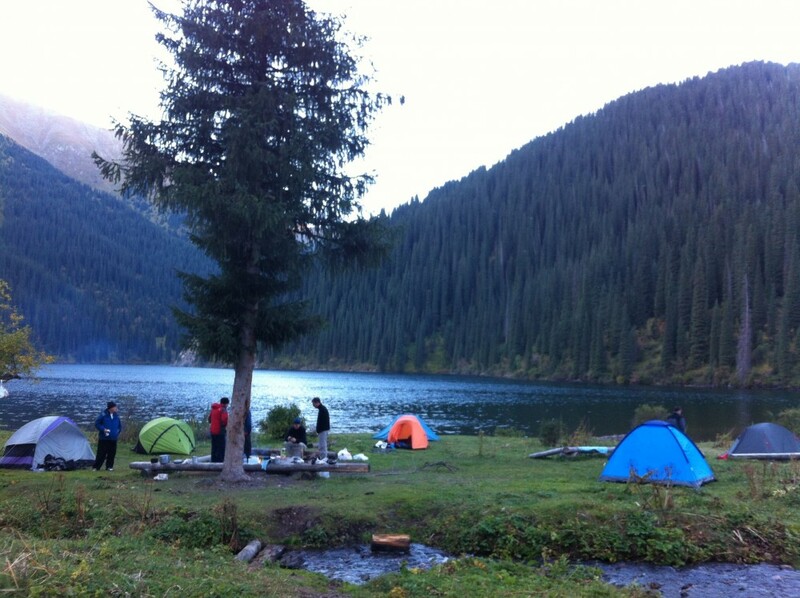 Pack up camp and continue walking down towards Kurmetti. Either find a place to camp or if we make it back to the village, spend the night in the guesthouse. 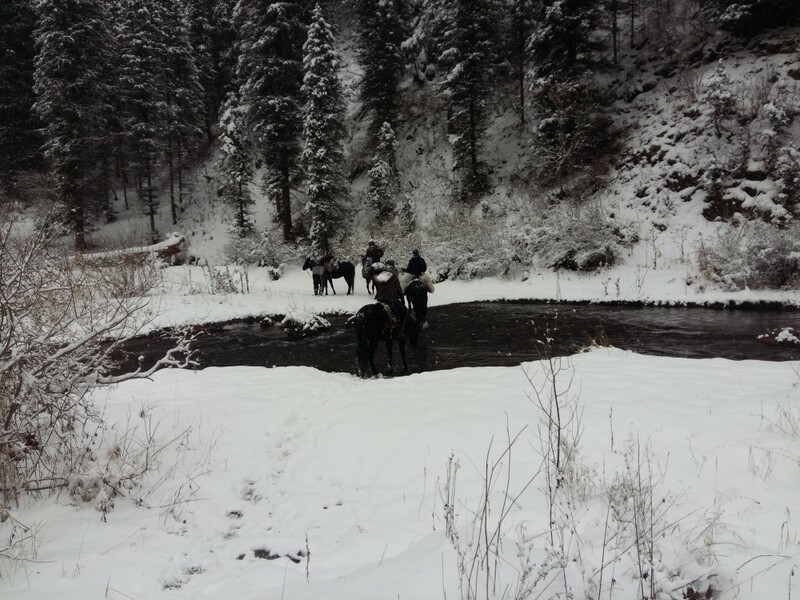 Return to Kurmetti or spend the morning in the village if we got back the day before (possibility to ride horses if they are available). 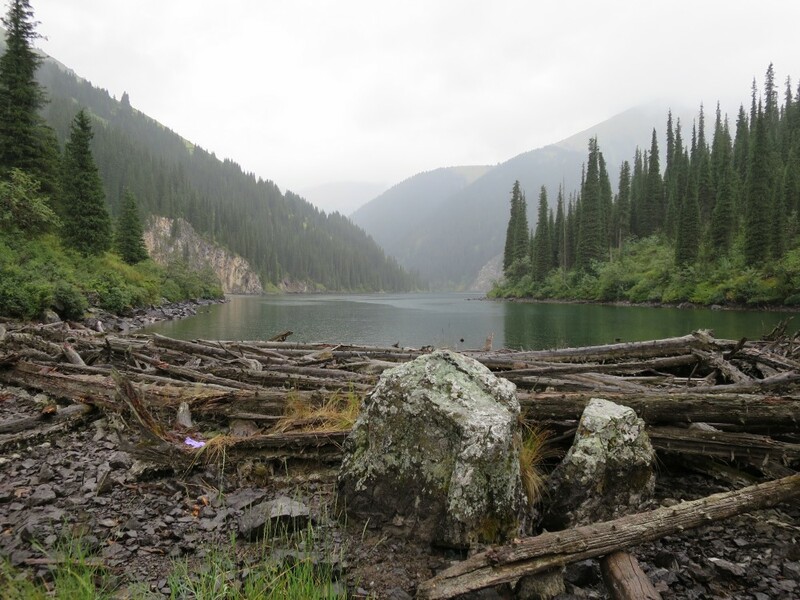 Return to Almaty (If there is time, there is the possibility to visit Sharyn Canyon).